Update: Prices have been updated. 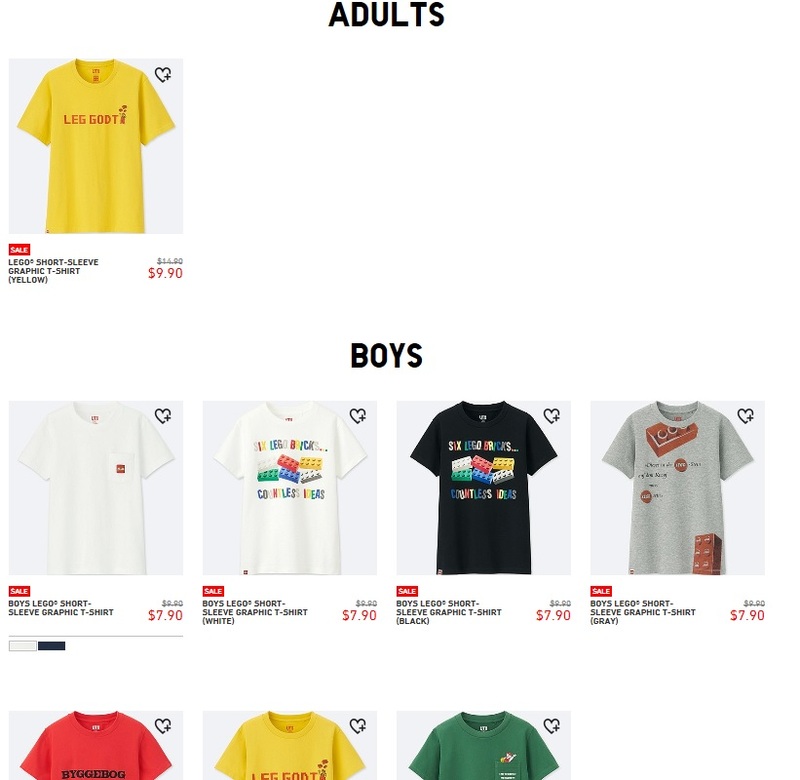 Uniqlo stores have started discounting their LEGO Graphic T-Shirts! There’s not as much variety as when they were first released, but they are now priced at a lower price. Canadian in-store price is $12.90 each (reg.$19.99). For USA, price is $9.90 each (reg.$14.90) for adult t-shirts. For boys T-shirts, price is $7.90 each (reg.$9.90). Free shipping on orders over $75.